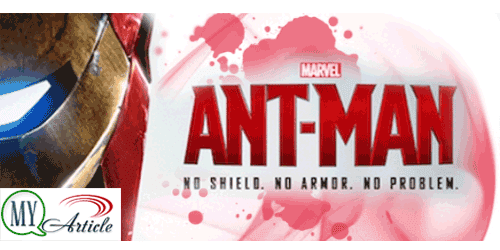 Just two weeks was released in the United States, ANT-MAN WORLD JURASSIC been able to get rid of the top box office. With revenues of US $ 24.7 million (equivalent to 333 billion rupiah) only in the last week alone, the film starring Paul Rudd is also able to beat the film Adam Sandler , PIXELS. The film is an imaginative adventure that seems not able to generate a sense of longing and nostalgia for games that were popular in the '80s like Tetris, Pac-Man or Donkey Kong. PIXELS had to settle in second position with revenues of US $ 24 million (equivalent to USD 323 billion). PIXELS addition, two other new films are Southpaw starring Jake Gyllenhaal and PAPER TOWNS starring supermodel Cara Delevingne , directly positions 5 and 6. However, according to Box Office Mojo analysis, both appear less impressive. PAPER TOWNS only generate US $ 12.5 million (equivalent to USD 168 billion), is still inferior to the fantastic work of John Green the other, THE FAULT IN OUR STARS. Southpaw is predicted as the film is able to lift the prestige of Jake in the event the Oscars next year could only generate US $ 16.5 million (equivalent to USD 222 billion). Although successfully eliminated defending champion JURASSIC WORLD to position 8 and minions to position 2, ANT-MAN still have to acknowledge the greatness of other superheroes who are still 'the university' that Guardians of the Galaxy or GOTG. Why? Therefore, ANT-MAN still lost when the head-to-head with GOTG in total revenue for 10 days. GOTG able to reap US $ 176 million (equivalent to USD 2.3 trillion), whereas ANT-MAN only able to reach US $ 106 million (Rp 1.4 trillion). Can this Marvel comic superhero achieve higher incomes?